Oh nooo, thank you so much for calling, Linda. I don't believe I've missed any days reading the obituaries, but I seem to have a marvelous way of not seeing that which I do not choose to believe..
NEWPORT NEWS - Mary Mitchell Noble Shaffer passed away at Riverside Regional Convalescent Center, Newport News, on Tuesday, Aug. 22, 2006, after a short illness. Mary was very proud to have reached the age of 90 and until recently she was able to take care of herself and live on her own. Mary began her life as a Tar Heel in Winston-Salem, N.C., on April 12, 1916, and quickly fell in love with the fine state of Virginia when as a young child she moved with her family to 'Colraine' on Wilson Creek in Gloucester. Her father opened the first skating rink in Gloucester called the 'Old Mill Skating Rink' where she met 'Ernie' and after dating for almost two years they were married in Gloucester on April 4, 1941. Soon after, they began their life together in Newport News. Their marriage lasted a wonderful 57 years. Mary is known for her great ability to attract friends, her card games and her trips to Atlantic City and Nags Head. As a young girl she, her father and step-mother cruised to Cuba and told stories of that trip throughout her life. She enjoyed every craft imaginable along with puzzles, painting, ceramics, and making porcelain dolls. 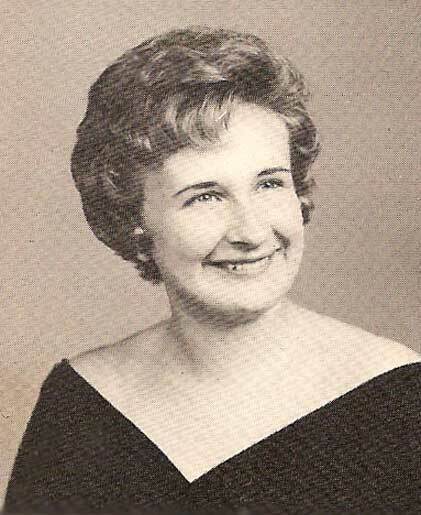 She was preceded in death by her parents, Edward Wright Noble and Brownie Elizabeth Neff Noble of Gloucester; her beloved husband, Ernest Dyer Shaffer Jr. of Newport News; her brother, Edward Wright Noble Jr. of Gloucester; and her sister, Susan Noble Rodman of Mt. Olive, N.C. She is survived by her only child, Brownie Elizabeth Shaffer Haracivet and her husband, John; her grandson, John Christopher 'Chris' McMurphy and his wife, Jessica; her great-grandson, Zachary Ethan McMurphy of Oklahoma City, Okla.; her brother, Thomas Jefferson Noble and his wife, Margie, of Richmond; her niece, Joann Noble Street and her husband, Jack, of Richmond; her nephews, Wright Rodman and his wife, Rosemary, of San Diego, Calif., Neff Rodman of Washington, N.C., John Rodman of Wilmington, N.C., William Rodman of Potomac, Md. ; and her extended family, Dola Maahs and her family. 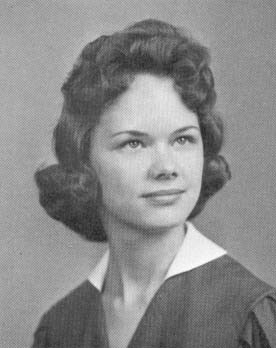 Her friends included: Josie Seabolt, Lelia McDonald, Polly Johnson, Elizabeth Parson, Grace Woltz, Ronnie Moore, Elise Bowen, Michael and Maggie Barnes, Jim and Sue Barton, Lawrence Cowling, Betty Hall, Ruth McMahon, Peg Sibson, Dovie Hedrick, Jim and Bettie McGarry, Mike and Cynthia Stevens, Liz Sawyer, Nick and Bitsy Luccketti, Sallie and Billy Greene, Thelma Harris, Doug and Kim Myers, John and Maxine Williams, Sarah Bushey, Brenda Kirschbaum, Bobby and Sandy Hatten and her friends at Silverman Furs. Her wise advice was sought by many and her nurturing quality helped many through difficult times. Mary was a true 'Aries' having planned her funeral including her flowers, the song to be sung, the casket, the dress she would wear, and she wrote her own obituary just to make it easier for her family. The family will receive friends from 7 to 8 p.m. Sunday, Aug. 27, at Peninsula Funeral Home. A graveside service will be conducted at 2 p.m. Monday in Peninsula Memorial Park. In lieu of flowers, memorial contributions may be made to the Humane Society. Published in the Daily Press from 8/23/2006 - 8/26/2006. MY THOUGHTS AND PRAYERS ARE WITH YOU BROWNIE AND JOHN. I WILL TRULY MISS TALKING WITH MARY, SHE WAS A GREAT PERSON, TEACHER AND FRIEND. I WILL MISS HER AND ALWAYS LOVE HER. My thoughts and prayers are with you. Your mother was a Wonderful person. Brownie, sorry to hear of your loss. Both your parents were exceptional people. Brownie: I'm so sorry to hear of your loss. Although I never knew your Mother, I know she was a wonderful and sweet lady. She had to be, to have given birth to such a terrific daughter. My thoughts and prayers are with you and John. Our deepest sympathies are extended to Brownie and her family and friends. I'm bharacivet@cox.net now but will also use the Earthlink address through September. I moved to Gloucester on August 11 and as you now know, lost my Mom on August 22nd. She waited until I was settled and safe in VA to leave us. Thanks so much to letting everyone know about her passing. Certainly, Brownie! I just so wish I had recognized it when I obviously read over it at least once, and probably twice. My mind has a way of "protecting" me from that which in my heart of hearts I wish had never happened. And all of us are so delighted that you're home again, Pretty Lady! Please accept my sincerest condolences once more, and know how much you're in the thoughts and prayers of us all at this difficult time.